President Trump is making it clearer than ever: There are some media outlets he approves of. There are other outlets he despises. In Trumpworld, Fox is good, CNN is bad. Sinclair is good, NBC is bad. The New York Post is good, The Washington Post is bad. "Roseanne" is good, "Saturday Night Live" is bad. He wants his supporters to know the difference and watch accordingly. This may have the effect of insulating his base from inconvenient facts. It definitely has the effect of inflaming tensions. The president fired off several more anti-media tweets on Monday and Tuesday. He called journalists at CNN, NBC, ABC, and CBS "sick." The renewed attacks came just a few days after Trump dined with Fox News host Sean Hannity and former Fox executive Bill Shine at Mar-a-Lago. Trump and Hannity frequently punch at the same media targets. "At one level Trump just hates being criticized and is 'fighting back.' At another he knows a foil is good for ratings. But, consciously or not, he's also tried relentlessly to co-opt or destroy any source of authority other than his own," AFP White House correspondent Andrew Beatty wrote on Twitter Tuesday morning. Indeed, a lot of this has to do with the president's with-us-or-against-us mentality. It extends to his media criticism: He views news outlets as either pro-Trump or anti-Trump, with no middle ground. Of course, the middle ground is where many journalists try to be. Trump's embrace of Fox News — as an alternative to other news sources — has been one of the themes of his presidency. He frequently consults with his Fox supporters like Hannity and Jeanine Pirro. The Daily Beast reported Monday that Trump has called on Fox Business host Lou Dobbs for feedback during "multiple meetings in the Oval Office." "Trump will ask Dobbs for his opinion before and after his senior aides or Cabinet members have spoken," the Daily Beast wrote. "Occasionally, he will cut off an official so the Fox Business host can jump in." But Fox is not the only outlet on Trump's "whitelist." On Monday, he reacted to news media scrutiny of Sinclair, a major owner and operator of local TV stations that injects a conservative viewpoint into some of its programming, by giving it a very public thumbs-up. He tweeted that "Sinclair is far superior to CNN and even more Fake NBC, which is a total joke." He gave Sinclair another boost on Tuesday while commenting that "the 'Fakers' at CNN, NBC, ABC & CBS have done so much dishonest reporting that they should only be allowed to get awards for fiction!" The tweet was puzzling because many of Sinclair's stations are actually network affiliates. This means that the stations carry nightly newscasts from NBC and other networks. And most of Sinclair's stations are CNN affiliates -- meaning CNN shares content and resources with them and vice versa. Trump's Tuesday morning broadside against CNN also showcased his us-versus-them attitude. He wrongly said it's a "fact" that "you can't get a job at ratings challenged CNN unless you state that you are totally anti-Trump." CNN responded: "Once again, false. The personal political beliefs of CNN's employees are of no interest to us. Their pursuit of the truth is our only concern." The president's tweet misspelled the name of CNN Worldwide president Jeff Zucker. Check out the fact that you can't get a job at ratings challenged @CNN unless you state that you are totally anti-Trump? Little Jeff Zuker, whose job is in jeopardy, is not having much fun lately. They should clean up and strengthen CNN and get back to honest reporting! The network also rebutted Trump's "ratings challenged" claim. "As for 'challenged,' CNN just finished its second highest rated first quarter in the past nine years," CNN PR wrote. When the president perceives something to be supportive of him, he touts high ratings. Take "Roseanne," the ABC sitcom reboot that premiered last week. The ratings were "unbelievable," Trump said in a speech two days later. "Over 18 million people! And it was about us!" The key words: "It was about us." In some ways this story hasn't changed since inauguration day. The president seeks validation and affirmation from the national media. Then he rails against outlets that don't say what he wants to hear. Being on Trump's "blacklist," though, is a source of pride for some journalists. Others simply shrug it off. The Washington Post, for example, has been in the president's sights for some time. 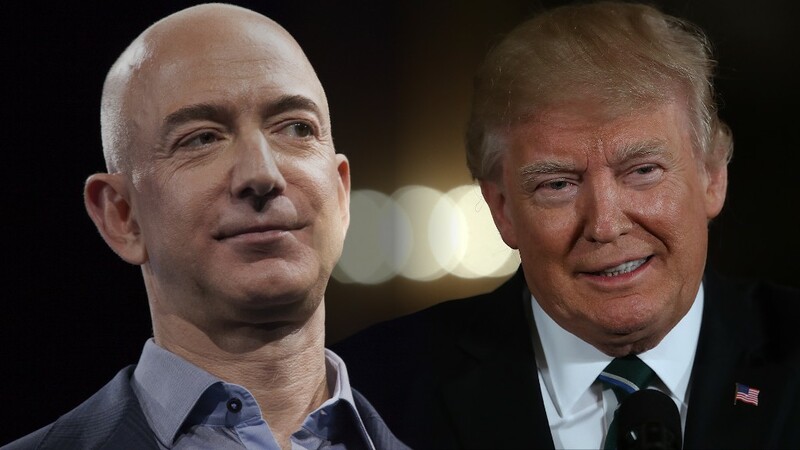 A recent volley of tweets against Amazon is widely perceived as a form of punishment for the Post's aggressive coverage of his administration. The connection is that Jeff Bezos both runs Amazon and owns The Post. "People close to the president have said critical articles in The Post often trigger his public musings about Amazon," The New York Times reported. Post editor Marty Baron told The Times that Trump's depiction of the Post as an Amazon lobbying arm is "completely made up." "We cover him the way that we feel any president should be covered," Baron said.